On Saturday our team had to split up for the morning. 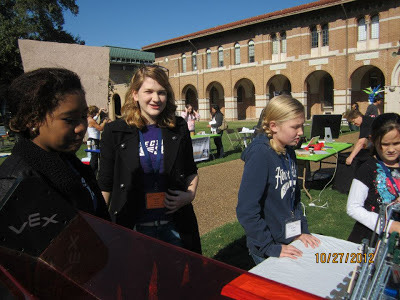 Most of our team was at Robot Remix (blog post to follow) but five of us went to Rice university with our VEX Robots for the 2012 Houston Sally Ride Science Festival. 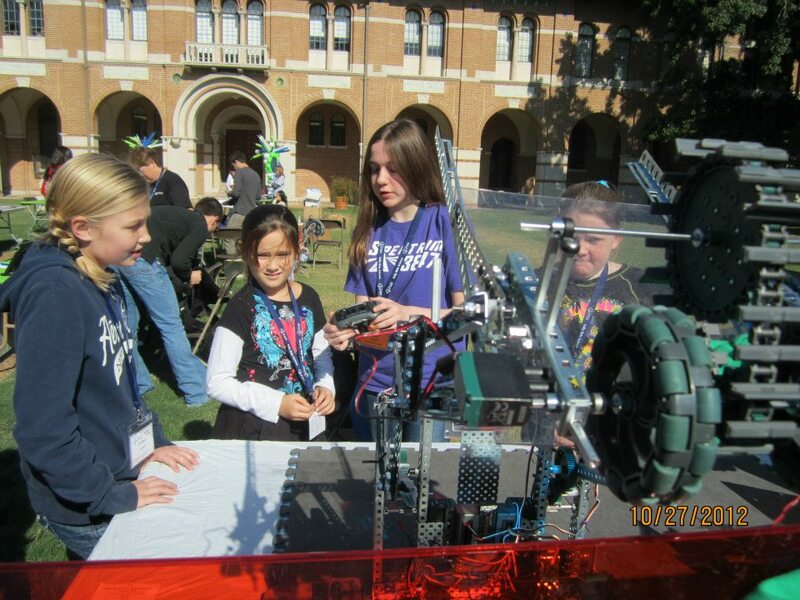 We presented the VEX robots to over 800 5th through 8th grade girls along with several other science demonstrations. This is the second year we have been a part of the Houston Sally Ride Science Festival. 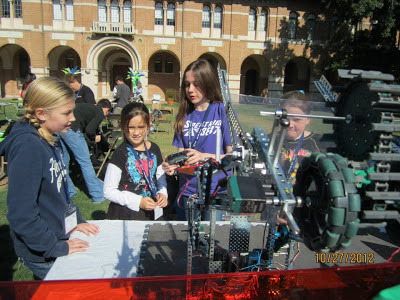 It's an awesome event that sparks an interest in STEM in hundreds of girls each year. We can't wait for next year.